Todd Sinnott’s selection in the Australian team to play against New Zealand, South Africa and Argentina in the Four Nations Cup is a clear indication of the 19-year-old’s talents. Sinnott made the cut in all top amateur events this American summer he entered, including a top-10 at the Players Amateur that was followed with a solid performance at the Western Amateur. It was Sinnott’s first US tour and the experiences gained against the best amateurs in the world, not only proved invaluable for him, but it obviously got the attention of Australian selectors. “I loved it there,” said Sinnott. The Four Nations Cup is held once every two years and is played over four rounds of stroke play between Australia, New Zealand, South Africa and Argentina. Teams are comprised of four players and the very fact Sinnott got the Australian selector’s nod of approval was undoubtedly linked to his recent fine run in the US. “International experience is what you need to advance your game and build upon your success back in Australia,” says Sinnott, who secured top-10 finishes at the Mandurah Easter Amateur and the Riversdale Cup last Australian season. Sinnott’s Australian playing colleagues for the Four Nations Cup are Brett Drewitt, Ryan Peake and Maverick Antcliff. The event commences this Thursday at The Hills Golf Club in Arrowtown, a spectacular and breathtaking layout that hosted the 2009 New Zealand Open. Antcliff, like Sinnott, is also making his maiden international appearance for Australia, while Peake represented his country earlier in the year in Asia. Peake’s international results this year include a runner-up finish at the Saujana Amateur Open in Malaysia and a top-10 finish at the Malaysian Open Amateur. A few week’s back Antcliff secured a runner-up finish at the Garry Player Classic which was on the back of a run of solid 2011 Australian results at the Keperra Bowl and Northern Territory Open. Since the events inception in 1987, Australia has won the Cup in nine of twelve occasions, the last in 2007 where Rohan Blizard, Andrew Dodt, Rick Kulacz, Tim Stewart and Matthew Griffin accounted for New Zealand. After a strong showings at the Asian Amateur Championship last week in Singapore, the New Zealand team of Ryan Fox, Ben Campbell, Mathew Perry and Vaughan McCall are optimistic about their chances. Campbell displayed stellar golf at the Singapore Island Country Club with the 20-year-old being in contention to claim the title and securing an invite to the Masters in April, before finishing third. A tenacious competitor, Campbell is one of the best strikers of the ball around and has established himself as one of the world’s best amateurs. Ryan Fox is another standout player to this already strong New Zealand outfit, as is Mathew Parry. 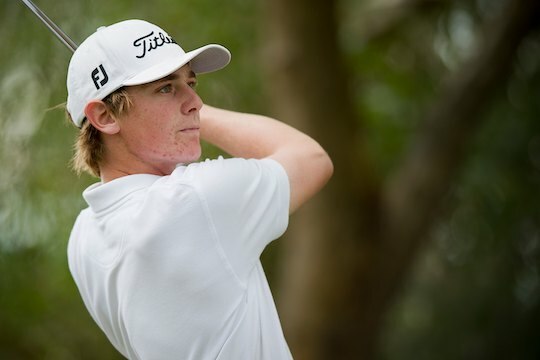 Playing at home the New Zealanders will prove a stern challenge for the Australians and it will be interesting to follow the tournaments progress as a number of emerging amateur talents, like Sinnott and Antcliff, do battle agains the more established players in Campbell and Fox.